The actor interacted with Indian fans via live video and said he's coming "damn soon"
Indian members of Team Stark left Robert Downey Jr aka Iron Man overwhelmed by their love and adulation when they assembled in Delhi, Mumbai, Chennai and Bengaluru to meet their favourite superhero early Sunday morning. Downey Jr, who has been playing the much-loved character since 2008, was in live conversation with his Indian fans from Seoul. He is currently promoting Avengers: Endgame in South Korea with co-stars Brie Larson, Jeremy Renner and directors Anthony and Joe Russo. The actor may be known for his witty remarks, but he was left speechless when his appearance on screen was met with deafening screams of crazy fans. Downey Jr, 54, was over the moon with the frenzy during the video conference and promised that he will visit India soon. “You guys are just amazing fans. I can't wait. I cannot believe I haven't been to India. I'm coming there so damn soon,” the actor told close to 1,500 fans who gathered in the four metros to catch his glimpse. Only four lucky Marvel fans got the golden opportunity to ask a question to their beloved superhero and Downey Jr was all ears. When one of the fans asked if he could tell some fun stories from the 'Endgame' wrap party, Downey Jr gave an emotional response saying the film sums up all the good memories the team shared over the years. “Well, I have no memory of it so it must have been pretty good. I got to tell you honestly, we made both 'Infinity War' and 'Endgame', we basically shot them back-to-back and it was the time that most of the Avengers and Guardians and everyone was spending the most time together. READ: 'Avengers: Endgame': How will it all end for the earth's mightiest heroes? “This 'Endgame' really represents the culmination of probably the time in our lives that we have been the closest,” he said. 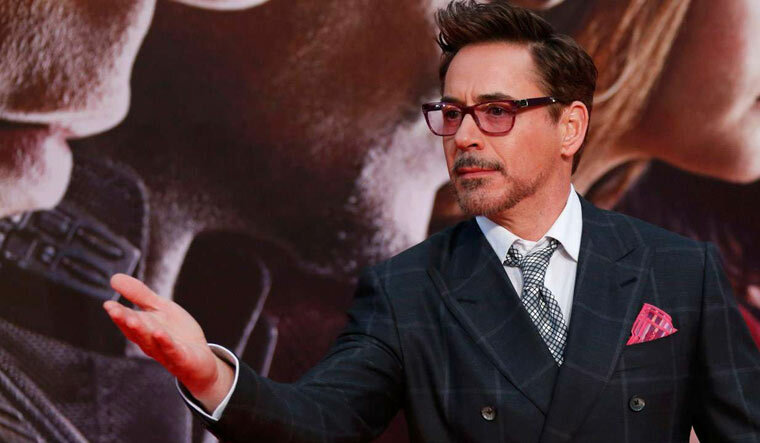 The video conference took place in cinema halls across the four cities, which were jam-packed with Iron Man admirers holding posters, donning T-shirts and chanting 'RDJ' ever since they arrived in the theatres. Young fans, who had always seen Tony Stark on the big screen leading the Avengers in a fight against the evil, had a surreal experience while interacting with the star himself. As they waited to meet Downey Jr, they were treated with official Marvel T-shirts as a prize in a Q&A session. The over seven-minute-long live session left the fans with a memory to cherish forever and a hope to meet Downey Jr during his maiden visit to India, which he promised will happen soon. Avengers: Endgame is slated to be released in India on April 26. The film also features Chris Evans, Mark Ruffalo, Chris Hemsworth, Scarlett Johansson, Don Cheadle, Paul Rudd, Karen Gillan, Danai Gurira, Bradley Cooper, Tessa Thompson and Josh Brolin.